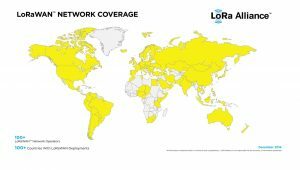 Fremont, Calif. – Jan. 22, 2019 – The LoRa Alliance™, the global association of companies backing the open LoRaWAN™ protocol for the Internet of Things (IoT) low-power wide-area networks (LPWANs), today announced that it has experienced explosive growth in 2018, exceeding the 100 LoRaWAN network operators milestone globally at the end of December. Wider availability of LoRaWAN networks makes it easier than ever to deploy IoT solutions leveraging existing infrastructure, allowing products and solutions to be offered and connected now. More than 100 network operators have deployed and operate LoRaWAN networks, which are both public and private, significantly broadening the technology’s reach. This flexibility is a unique differentiator of LoRaWAN compared with other LPWAN technologies. In addition, the number of end-devices connected to LoRaWAN networks is reported to have tripled since the beginning of the year, which demonstrates significant acceleration of adoption compared with other technologies yet to achieve such an expansive footprint. LoRaWAN networks are being actively deployed globally, with the Asia-Pacific and European regions showing the most growth, at 30% and 50%, respectively, throughout 2018. Regional specifications are established in all key regions with additional regions being added continuously. 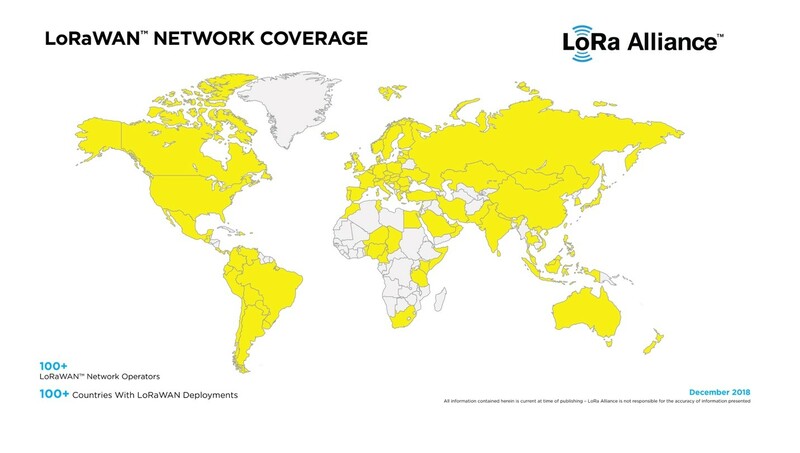 The total operator investment in LoRaWAN is significant on a global basis, offering compelling proof that network operators are making a long-term commitment to the LoRaWAN standard and supporting the market demand for IoT applications. “Minol ZENNER Group is enabling cities, utilities and industry customers to run their own IoT networks. As a LoRaWAN network operator, Minol ZENNER Connect GmbH, we are open to running, combining and integrating these networks into one system. ⟵Do you know what is an “intelligent measurement”? How technologies can convert Sofia into a … smart city?